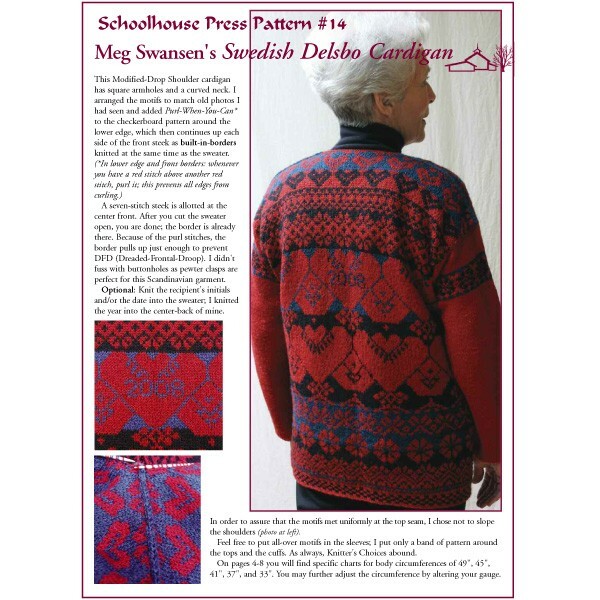 Meg Swansen's dazzling Swedish Delsbo Cardigan is based in an historic sweater style appearing in a number of Scandinavian books. 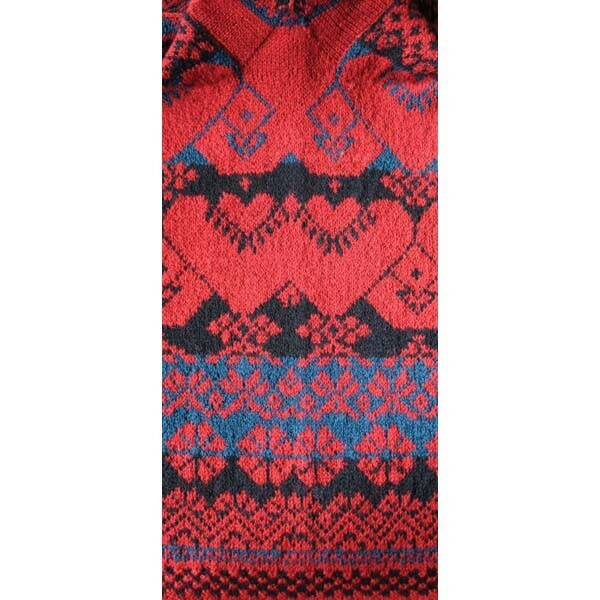 Meg has added plenty of her own special touches, such as: built-in purl-when-you-can cardigan borders, modified drop-shoulder construction and a gently shaped neck. 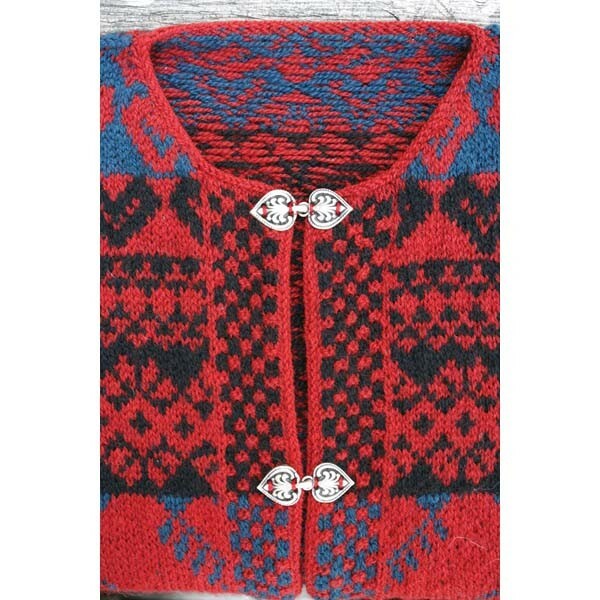 Full charts for 5 sizes, plus lots of technical description for Elizabeth's Percentage System, steeking, and centering the color-pattern.